Some areas of this website are only available to MASS Members and Associates. We strongly encourage everyone from our member offices to take advantage of this facility. Unsure whether the firm that you work for is a MASS Member? Just click on any of the section tabs above and enter your work post code in the red box ‘Find a MASS Solicitor in your area’. If details of your office are displayed then you are a member and you should go to the registration option below and follow the instructions. 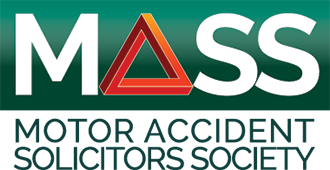 MASS promotes the highest standards of legal standards through education and representation in the pursuit of justice for victims of road traffic accidents.